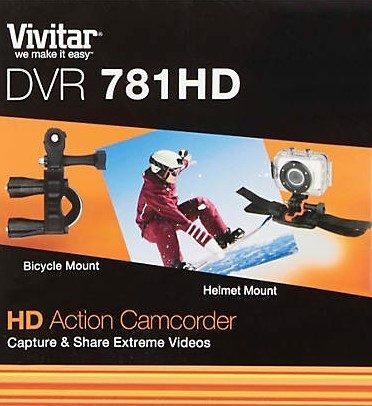 Vivitar DVR781 HD Action Camcorder Just $26.24 Down From $100! PLUS FREE Shipping! You are here: Home / Great Deals / Christmas Deals / Vivitar DVR781 HD Action Camcorder Just $26.24 Down From $100! PLUS FREE Shipping! 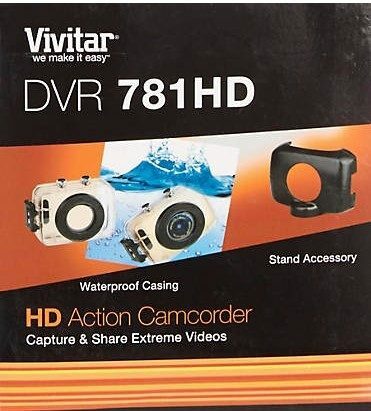 You can get this Vivitar DVR781 HD Action Camcorder Just $26.24 Down From $100! PLUS FREE Shipping! Two of our boys LOVED having a video camera! They made commercials for church events, funny videos with their friends, all sorts of things. I always worried about how expensive the camera was and how it might get broken. The prices have dropped so much, and now they have cameras specifically meant for the rough and tumble life! The camera is on sale for $34.99 right now. Just use code: CYBER at checkout to get 25% off PLUS FREE shipping to make it just $26.24! Record amazing 720p action video from your point of view with this Vivitar DVR 781 HD Action Camcorder. Designed for the sports enthusiast, the DVR781 includes bike & helmet mounts & a waterproof case. The camera features a 1.7” preview/playback screen & micro SD card slot.